Reliable, dependable and robust animal models of human disease are of paramount importance for the evaluation of novel cancer therapeutics. Single layer cell culture studies, a viable system for initial high-throughput screening, cannot mimic the tumor vasculature, cell-to-cell interactions and stroma as in xenograft models. 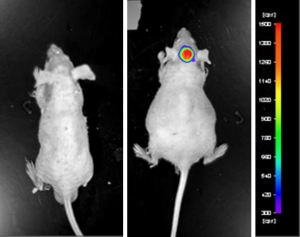 The HT-29 CDX mouse model enables researchers to transition from an in vitro to in vivo environment to study anti-tumor efficacy of lead compounds. These studies include tumor growth delay studies using monotherapies (e.g. an experimental anti-cancer drug known to inhibit HIF-1alpha (PX-478) or regorafenib) or combination therapies (e.g. bevacizumab in combination with capecitabine or irinotecan).